City in Morocco with 3 million inhabitants (2005 estimate). 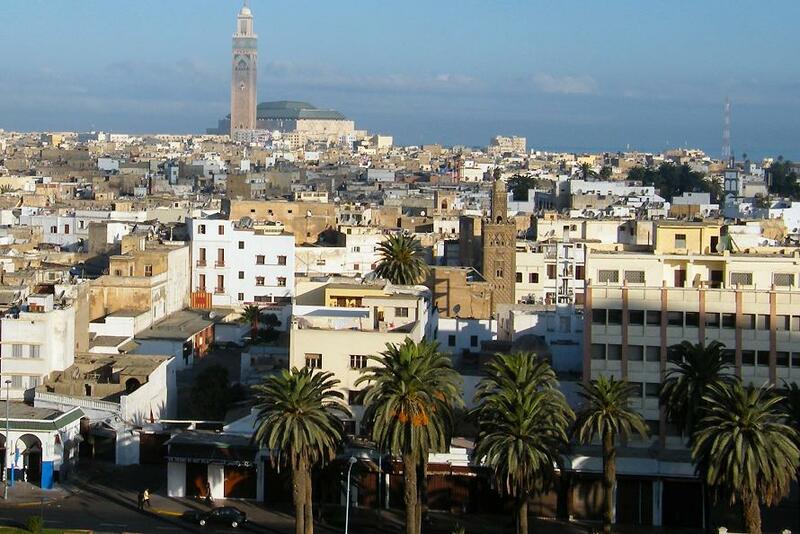 It is the capital of Grand Casablanca region with 3.7 million inhabitants (2005 estimate) and an area of 1,615 km². 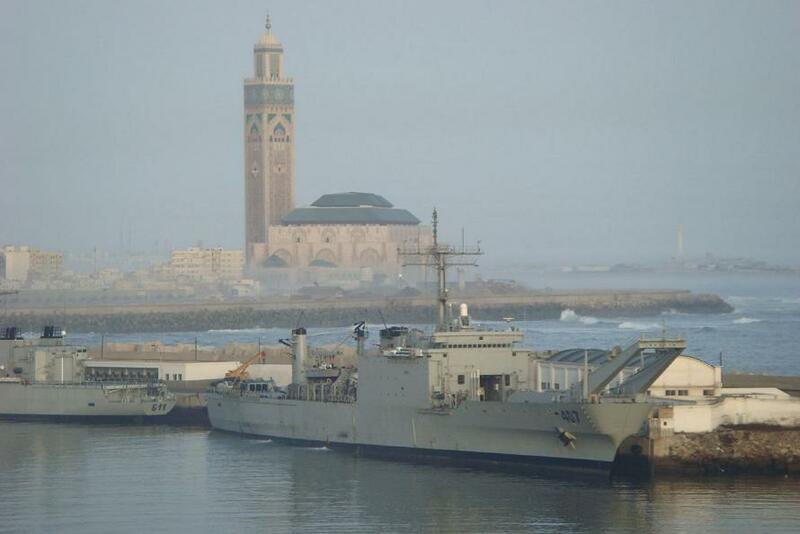 Situated on the Atlantic, Casablanca has one of the largest artificial ports in the world. It is the major city in Morocco and the country's economic capital. 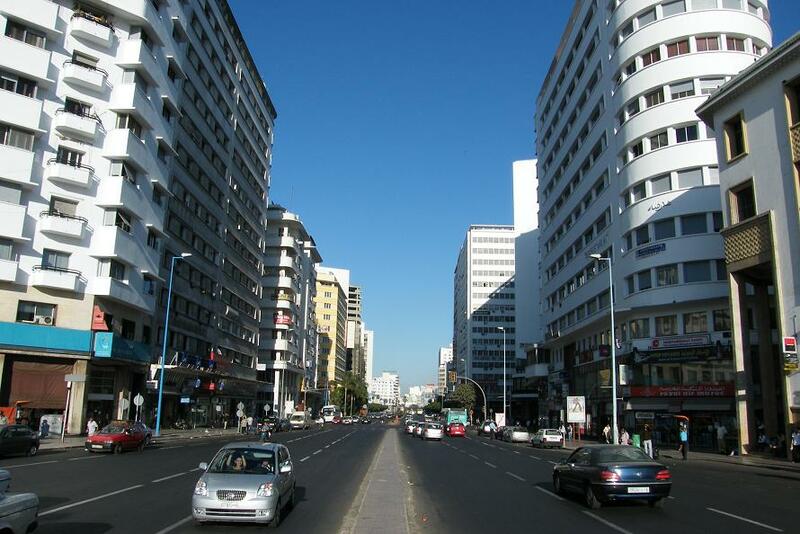 Casablanca has excellent connections with the rest of Morocco, through its railways and excellent roads. The most important part of Casablanca's economy is phosphate export for which Casablanca is one of the main ports as well as an administrative centre. It is also the centre of the most intensive industrial activity in the country: a sizeable portion of the city's products is exported. 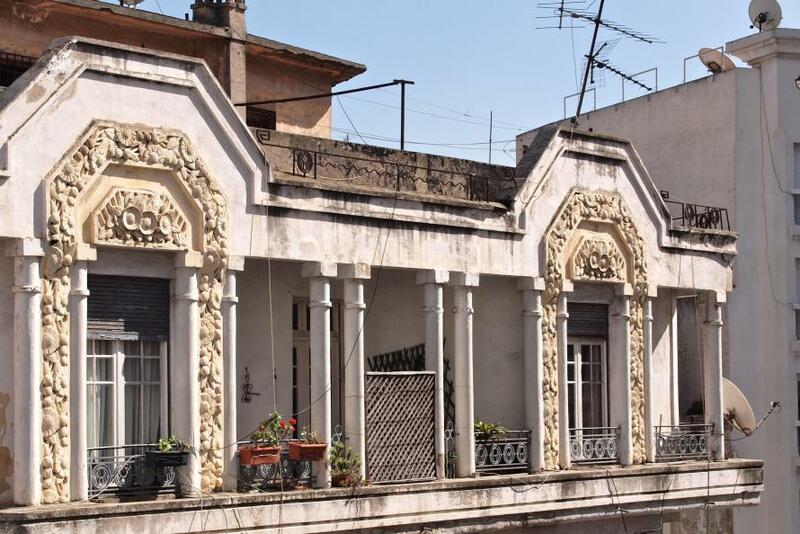 Among Casablanca's own industries are fishing, fish canning, sawmilling, furniture making, building materials, glass, textiles, electronics, leather work, processed food, beer, spirits, soft drinks, and cigarettes. 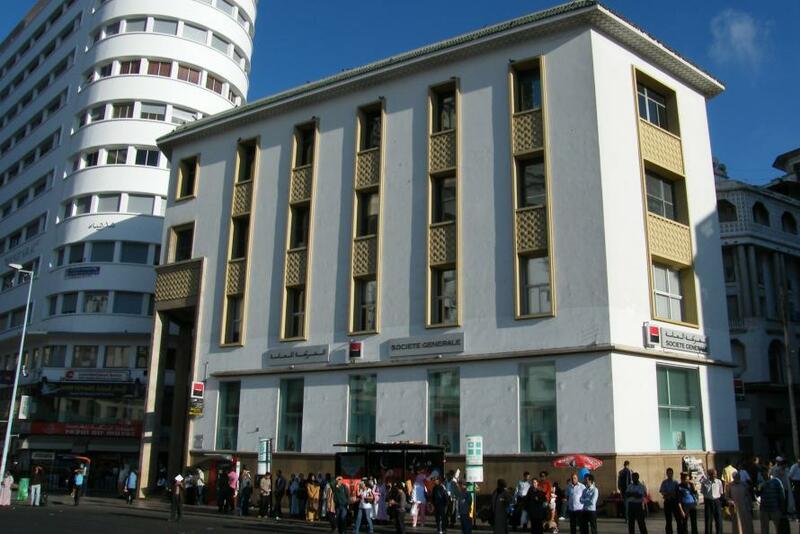 Casablanca is also the center for more than half of all bank transactions in Morocco. Casablanca's landmark is the new mosque of Hassan II, the world's largest, which can be seen at great distance. 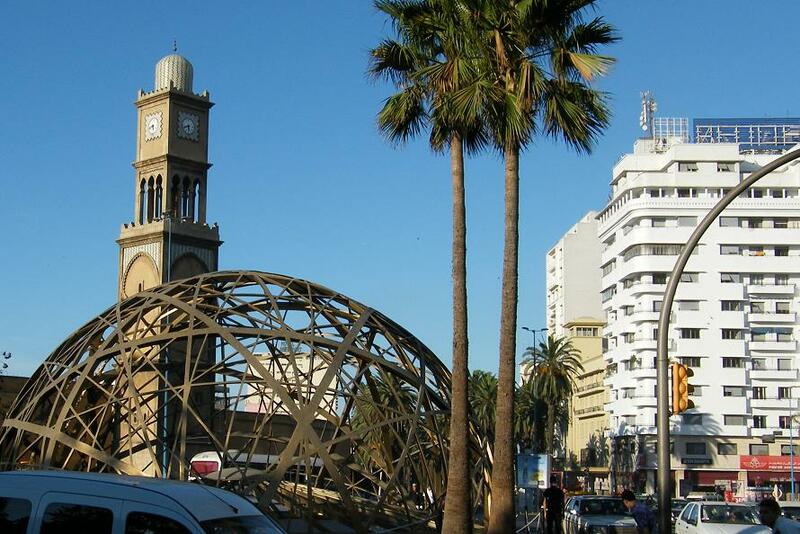 Apart from this there are few landmarks in Casablanca. 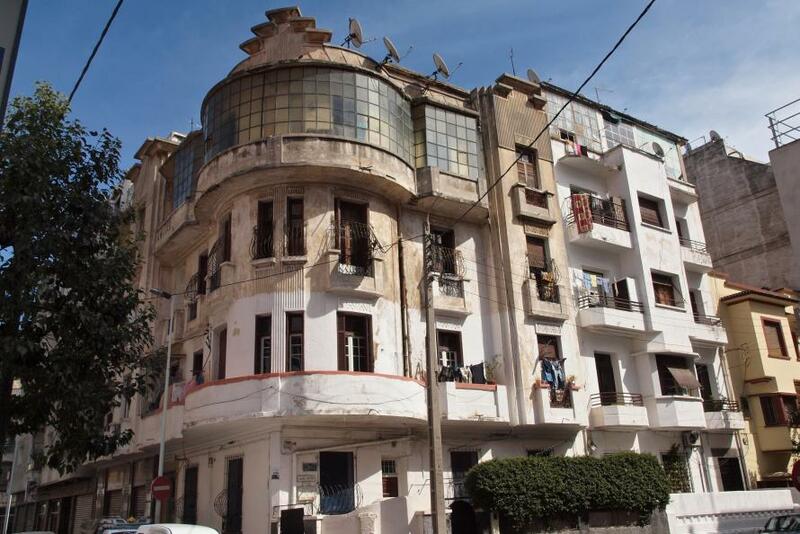 In Casablanca one finds both the richest and most sophisticated groups of the Moroccan society, as well as the most desperate poverty of the country. 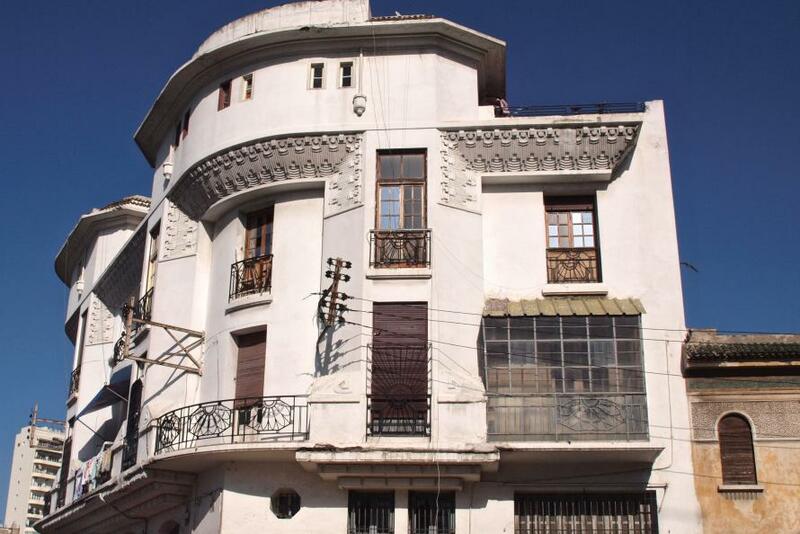 The modern town of Casablanca is based on the plans of the French architect, Henri Prost, who placed the center where the main market of Anfa had been. From this point all main streets radiate in eastern and southern directions. Additional city plans were first developed in 1946, and later in 1984. 10th century BCE: The original settlement where modern Casablanca stands, is believed to have been founded by Berber fishermen. 7th century: Phoenicians used the place as a secondary port for seafaring activities. 15 BCE: Estimated arrival of the Romans, who also used as a port. 7th century: Berbers establish Anfa, "hill", on the northern side of Oum er-Rbia. Anfa becomes an independent kingdom, with inhabitants rejecting the new religion of the region, Islam. 1068: After 4 centuries of independence, Anfa is occupied by the Almoravids. 14th century: The Merenids build a Muslim town where old Anfa was. Anfa became an important city for exports to regions as far away as Genoa. 15th century: Anfa becomes independent again, and now starts housing pirates, who even attack Portuguese coastal towns. 1468: Anfa is destroyed by the Portuguese in retaliation against the piracy activities. 1515: The Portuguese rebuild Anfa, calling it Casa Branca. 1755: Casa Branca is destroyed by an earthquake, and abandoned by the Portuguese. 1770: Anfa is gradually rebuilt by the Moroccan sultan, and renamed Dar al-Bayda, which remains the Arabic name today. Dar al-Bayda is Arabic for Casa Branca/Casa Blanca. 1781: Takes the Spanish name, Casa Blanca, when Spanish companies establish themselves here. 1830: The real start of European immigration to Daru l-Bayda, which results in as many as 8,000 Europeans about 40 years later. 1906: The port of Casablanca begins to be developed. 1907: Casablanca is occupied by the French, who begin to build a French-style city next to the old town. 1912: With the French occupation of Morocco, when the country is turned into a protectorate, Resident General in the country, Louis Hubert Lyautey, decides to make Casablanca (which now is the new name of the city) into the new economic capital of the country. 1956: Independence for Morocco brings a few years of economic problems for Casablanca, but the city soon revives due to industry and commerce.